SoulCycle is all the rage! It mixes cycling with an upper-body workout, meaning people actually do pushups (and other crazy stuff) on their stationary bikes, while they're pedaling! "Throw in some candlelight, a whiff of aromatherapy to cover the B.O., and charismatic instructors shouting encouragement over upbeat dance music, and you've got a cardio class with a devoted following." 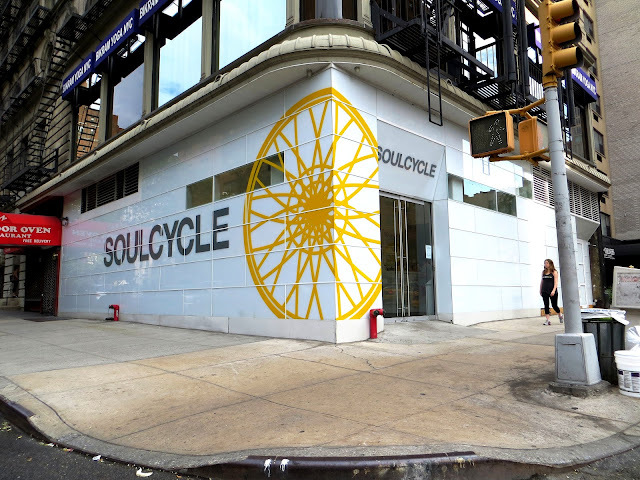 (LA Times) Here is Soulcycle's Upper East Side outpost.